Stand straight with your feet wider than shoulder-width apart. Take a kettlebell in your hand. The arm should be relaxed. 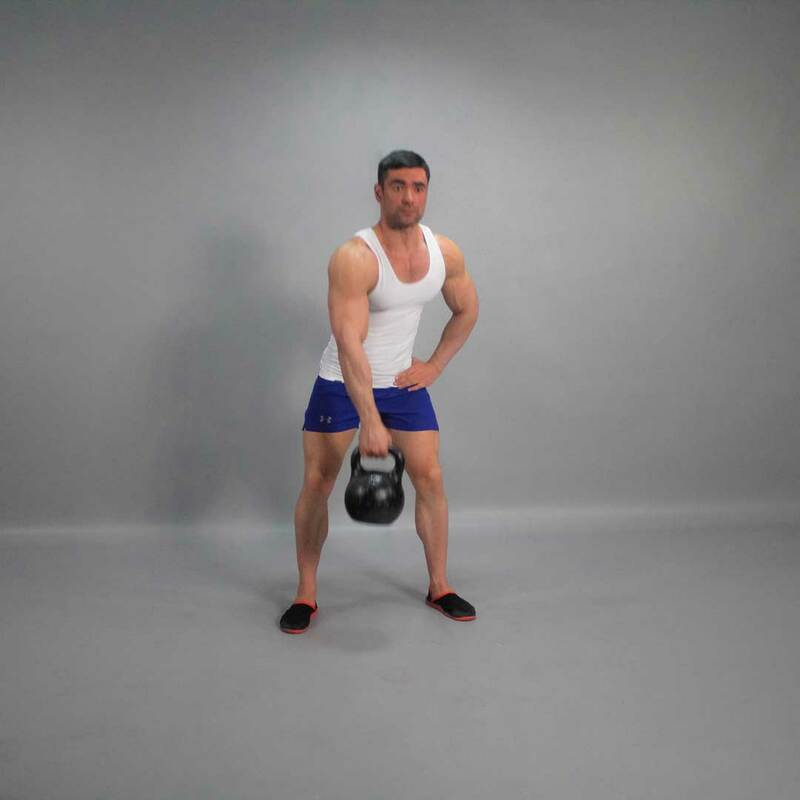 Pull the kettlebell behind your legs to ensure maximum acceleration of jerk. Without bending the elbow, raise your hand slightly above the head. 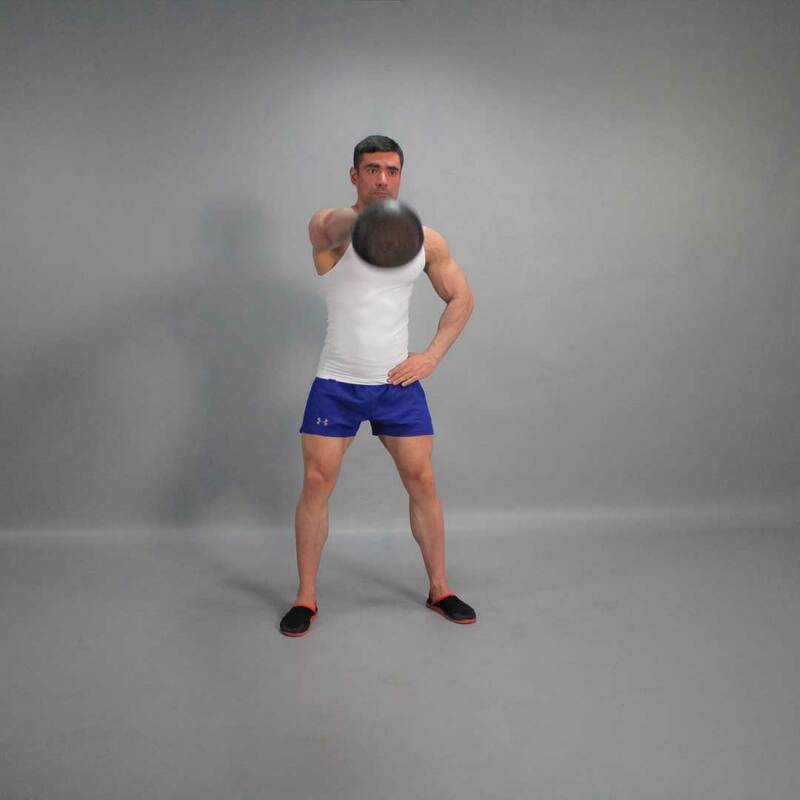 Lower the hand without bending and pull the kettlebell behind your legs.